Dad’s Army is something I have very fond memories of, I remember sitting on the floor of my grandparent’s house and watching it with them while they laughed at it. I found it funny myself though I didn’t quite get it. Maybe it’s because of that particular memory that as I got older, in fact 20 years after my grandmother tragically passed, I ended up spending a whole Christmas blocking watching the first 6 seasons of the show. Sadly I needed to return to work so I couldn’t finish watching them all in a marathon but I knew I loved this series. 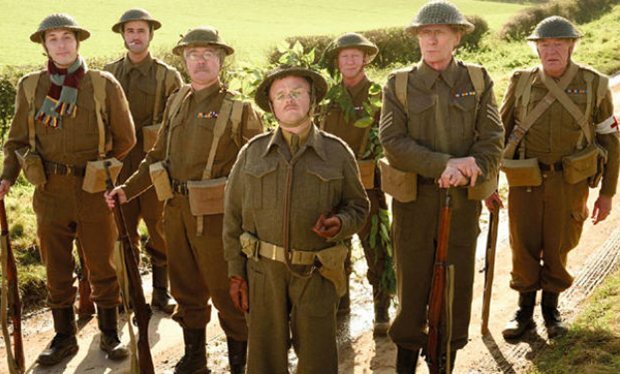 It’s comedy gold, what’s not to love about a bunch of old men well past their prime who are convinced that they are the last line of defense between the British Empire and the Axis Powers. 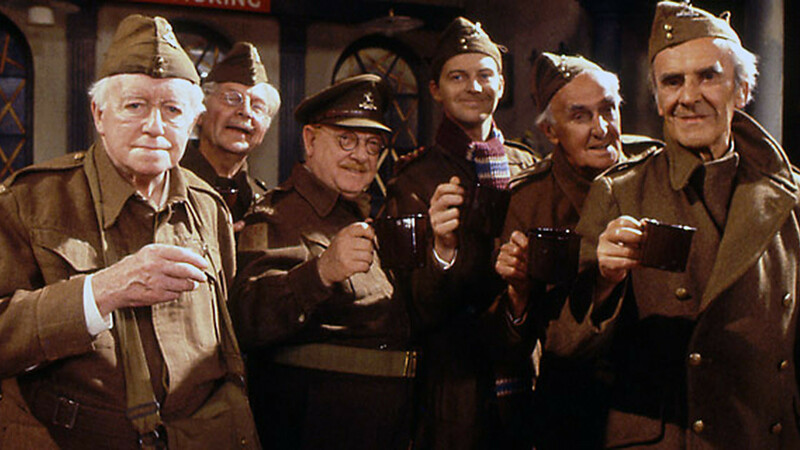 If you have not seen Dad’s Army the plot is as follows: Dad’s Army is a BBC television sitcom about the British Home Guard during the Second World War. The Home Guard consisted of local volunteers otherwise ineligible for military service, either because of age (hence the nickname “Dad’s Army”) or by being in professions exempt from conscription. In its time the sitcom ran for 9 series and 80 episodes in total plus a radio version based on the television scripts, a feature film and a stage show. The series regularly gained audiences of 18 million viewers and is still repeated worldwide. The series still has quite the following to this day which shows how well written it was. Obviously some of the humor may have aged and maybe a few things would not be 100% appropriate but the staying power of this series is the simplicity of it, it’s a little slap stick and a lot of quick whit peppered with some tomfoolery and as it was already set in the past when it was made it has given it an edge over shows set in the present, or to be more precise their present as the viewer of today is looking back with the original audience. Plus it’s an underdog story and who doesn’t love that? I was a little dubious when they announced that a new film was being made but after seeing the trailer I won’t lie, it looks very faithful to the source material. The new film will be set during 1944, when World War II was about to reach its end. In Walmington-on-Sea, Captain Mainwaring’s Home Guard suffers from low morale. This is until a glamorous journalist arrives, to report on the platoon’s exploits. Meanwhile, MI5 have discovered a radio signal transmitted from Walmington-on-Sea towards Berlin, apparently the work of a spy, giving the Home Guard a chance to make a real difference in the war. The casting is just brilliant, everyone really just looks the part and more that just looks it, they really embody the parts they are playing which is the most important and difficult aspect of this. they are bringing back characters that have not been seen for years and it shows the skill of the actors in these parts. As well as this all star cast you have Catherine Zeta-Jones as Rose Winters, Mark Gatiss as Col. Theakes, Emily Atack as Daphne, Felicity Montagu as Mrs Elizabeth Mainwaring, Ian Lavender as Brigadier Pritchard, Holli Dempsey as Vera and Oliver Tobias. P.S what a fantastic theme tune to the original show, so awesome that Iron Maiden are known to play it after their performances.